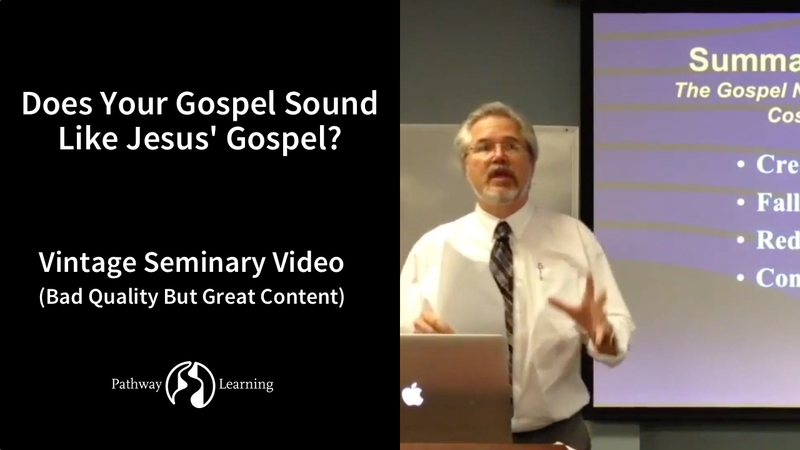 Does Your Gospel Sound Like Jesus’ Gospel? How close is your gospel message to the gospel message Jesus preached? The gospel message Jesus preached almost always includes good news about God’s kingdom. Does your gospel message almost always include good news about God’s kingdom? Is your gospel message only about personal salvation? In this video, you’ll learn that the Gospel Jesus and Paul preached is more than good news about forgiveness and personal salvation. The Bible presents the gospel, the good news of Jesus Christ, to us from two perspectives. Both perspectives are found in Scripture so both must be affirmed. One perspective looks at the good new about Jesus Christ from the perspective of God’s redemption in history. This is the good news that the Father’s creation, ruined by the Fall, is being redeemed by Christ and restored by the Holy Spirit into the kingdom of God. The Bible also presents the gospel to us from the perspective of personal salvation with an emphasis on what happens to individuals within the bigger historical cosmic salvation in history. This perspective presents the gospel in terms of key categories like a message about God, sin, Christ, and faith, and emphasizes key biblical concepts like personal justification and adoption. These two perspectives need to be integrated in our thinking as they are in the Bible. This involves seeing God as the creator of all things, but especially humanity as the apex of his creation. It also means seeing the historic fall of humanity as linked to the biblical doctrine of sin that separates humanity from God. And God’s historic work in redeeming all things lost in the Fall through the person and work of Christ, should be linked with God’s individual saving work of believers through his sinless life, sinners’ death, resurrection, and ascension for them. When you find Jesus using the term ‘gospel’ or ‘good news,’ it is almost always used in the same breath as the concept of the kingdom. This concept of a theology of the kingdom or a gospel of the kingdom includes the good news that our God reigns through Jesus Christ. And he is now making all things new, and he’s calling everyone everywhere to repent and to be swept up in this cosmic renewal that includes the renewal of human hearts and the fulfillment of the promise of the new covenant of the prophets, that he will forgive our sins and take our hearts of stone and give us hearts of flesh and put his Spirit within us. The two-fold impact of the fall was guilt and corruption. And the consummate fulfillment of the good news is ‘our God reigns.’ The new covenant in all of its riches is now here. You can be forgiven and you can have a new heart and a new spirit put within you as a part of God’s cosmic renewal of all things. These are the categories we’re going to be looking at in this course. Tim Keller summarizes these categories this way: “God has entered the world in Jesus Christ to achieve a salvation that we could not achieve for ourselves which now converts and transforms individuals, forming them into a new humanity, the church, and eventually will renew the whole world and all creation.” Notice the personal salvation perspective of the gospel. And notice the cosmic sense of the good news. When you ask a lot of people “What is the gospel?” they will often respond to you with a 1 Corinthians 15:3 and 4 kind of answer. My encouragement to you is to see that kind of answer as true but incomplete. This means the gospel is more than simply the gospel events. It’s more than simply Christ’s birth, life, death, resurrection, ascension, and promised return. It’s also the gospel affirmations that God now makes about Jesus Christ because of what he did. God says that because of what Jesus did God has now made him Lord and Savior. And what is the highest blessing of the gospel? Most people would say forgiveness. Others would say adoption. The legal, forensic good news of justification is wonderful. It’s wonderful to be declared legally right before God as our judge in the heavenly court. But it’s another far greater thing for the Father to take you to his home. So the highest blessing of the gospel is not forgiveness through justification but it would be adoption. 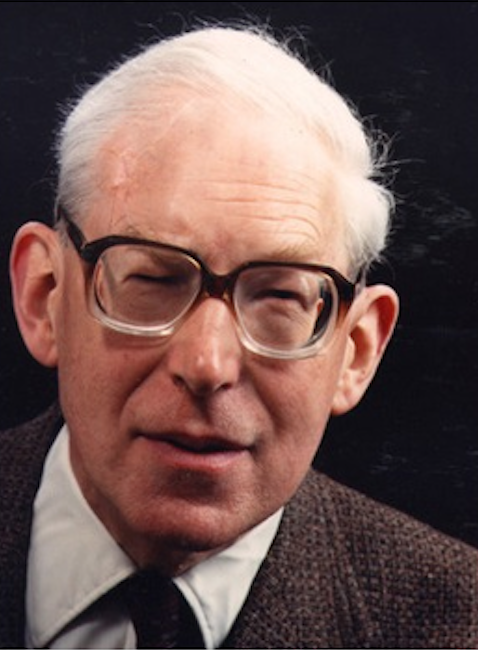 In his classic book, Knowing God, J. I. Packer argues that adoption is the highest blessing. But Calvin trumps Packer saying the highest blessing of the gospel is union with God through Christ. The truth is Packer would also affirm this. He was just trying to say that adoption is a higher blessing than justification. Justification is forensic and legal. While adoption is deeply personal and familial. Make no mistake that the highest blessing of the gospel is being in Christ. We’ll see later that those blessings include a new record, a new heart, a new world. But the highest blessing that you could ever have is that, through faith, you are now in mystical union with the triune God, in Christ. You are in Christ. Therefore, the inner Trinitarian love and fellowship is now yours. It’s astonishing that you’re now a part of the deepest love in the universe. What will really blow your mind is when you realize that the same love the Father had for eternity for the Son, and reciprocal, with the Spirit as well, is now the love that he has for you because you are in Christ. It is impossible to break this love. That’s the depth of what being “in Christ” means. You are in the Trinitarian relationship, and from that flows every spiritual blessing. Later we’ll also look at what John Stott calls “the gospel demands” that answer the question, “How do I appropriate these promises?” We’ll see it’s through gospel repentance, faith, and obedience. Learn More About The New Evangelism Course! develop churches that transform lives and communities. The gospel message Jesus preached normally includes good news about God’s kingdom. Does your gospel message normally include good news about God’s kingdom? This brief video (8:15) will show you that the Gospel Jesus and Paul preached is more than good news about forgiveness and personal salvation. 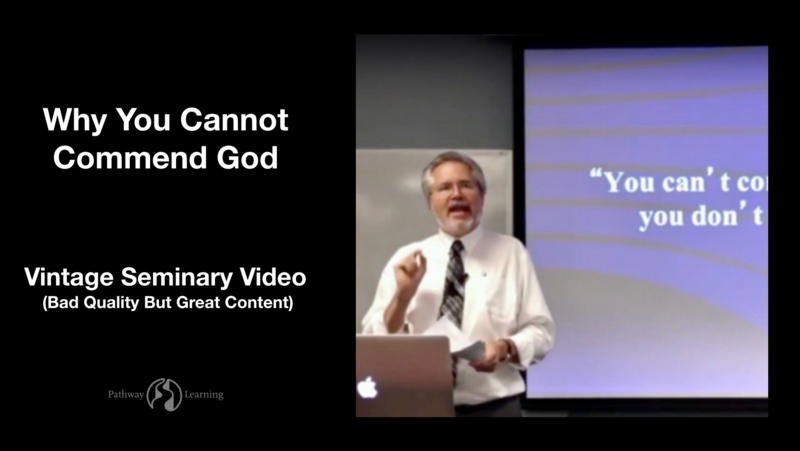 This brief video (6:14) will help you understand the importance of commending God because you cherish God. Help under-served church leaders make a difference in the world. There are millions of gifted and called church leaders without access to the training and tools they need to develop churches that transform lives and societies.This is a problem we can solve. Pathway Learning has an innovative, online and onsite educational platform that provides church leaders access to affordable, practical, seminary-level courses where they live, in their language, and adapted to their culture. Will you help church leaders develop churches that transform lives and communities?